Let our new media content experts give your brand the augmented reality experiences that revive the imaginations of the audiences you want to reach. Our innovative and seasoned team can deliver augmented reality content creation and virtual reality content creation services so that your brand can unleash the digital experience your audiences deserve. What is the difference between AR content and VR content? Augmented reality content (AR) is technology that layers computer-generated images on top of existing reality; this technology blends the virtual and real worlds together in a way that enhances them, but still allows users to tell them apart. Virtual reality content (VR) is immersive, computer-generated simulation of a real-life-like environment. VR primarily relies on 360-degree video to move users of the technology through digital worlds. We’re on the cutting edge of AR experiences and VR experiences. When it comes to augmented reality content and virtual reality content creation, there’s one thing you should know: we live and breathe these digital experiences. We’re future-looking creatives who apply our artistic talents and keen technical abilities to everything we produce. We produce clean, user-friendly AR powered and VR powered content, and we work with brands like yours to translate your needs into unforgettable digital experiences that blur the lines between what’s real and what’s simulated. We offer AR and VR content at speed and scale. 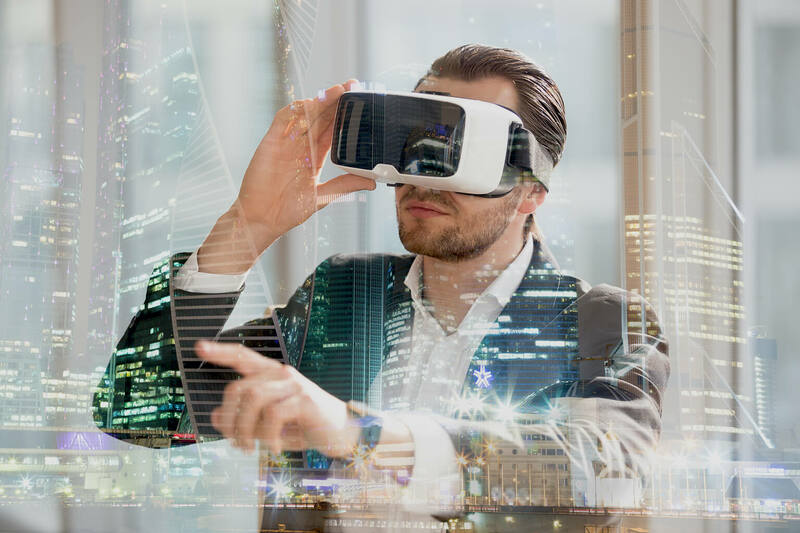 Our global team of virtual reality and augmented reality experts specialize in producing AR and VR content at speed and scale while staying within your budget. We can help your brand put these technologies to use as more than tools of engagement; we can ensure they tell your brand’s story and that it resonates with your audiences. With mesmeric elements such as real world simulations and 3D models, the AR and VR content we create will see your brand through its next evolution. We have a range of artists, developers, photographers, videographers, user experience designers and other professionals around the world. We match you up with a local account leader who is responsible for listening to your needs and assembling the right team to deliver the content you want and to optimize it for your target audiences. Take advantage of our seamless, transparent content creation and review process. We developed a proprietary platform that enables us to keep our clients informed at every step of the content creation journey. Our expedited workflow and approval process empowers innovation and the delivery of large volumes of fast-moving content at scale. So whether you’re looking to provide better customer service, reduce returns or increase engagement, our AR and VR specialists can bring your creative vision to life and deliver tangible results. Let us help you meet the future. Ready to connect with your target audiences through augmented reality digital experiences? Get in touch with us today, and let’s explore how new media, VR, and augmented reality can help your brand.